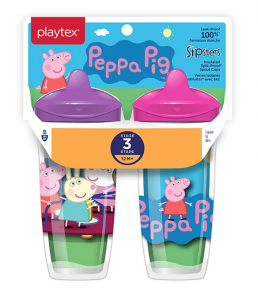 Head over to Amazon and grab the Playtex Sipsters Stage 3 Peppa Pig Spill-Proof, Sippy Cup 2-pack for just $6.86 when you clip the $2.00 off coupon under the price. (Regularly $9.99) Plus, they will ship free! A fun stocking stuffer for littles!